A performance trial for leading wastewater company Sanepar proved the outstanding durability and longevity of Selwood’s industry-leading pumps. Sanepar is a large wastewater company based in Curitiba, Brazil, with responsibility for all wastewaste treatment across a vast region. With such an important job constrained by environmental regulation, the company demands the very best in solutions and equipment that is built to last. With these high expectations in mind, Sanepar entered into discussions with Aquamec, a leading water, wastewater and environmental solutions specialist in Brazil. The challenge was clear – it required a high-performance solids handling pump that provided real long-term value. Sanepar recommended that a performance trial be carried out of an existing unit before making any purchase. Aquamec agreed and Selwood’s world-leading Seltorque S150 pump was selected for the pump flow test. 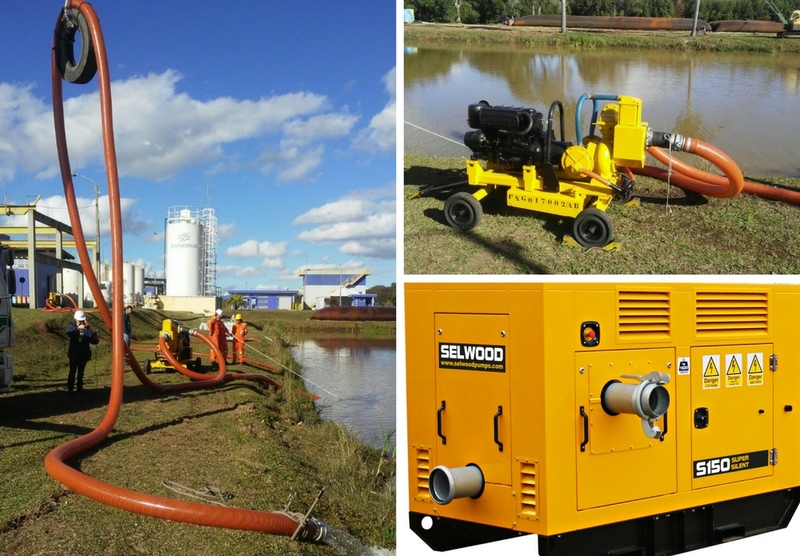 It follows a ground-breaking partnership being launched between Aquamec and Selwood earlier this year to assemble, distribute and support Selwood pumps in South America. An S150 pump purchased by Alpina – a leading water cooling tower manufacturer in Brazil – was transported to the agreed location to carry out the trial. The unit had been purchased in 2000. Flow tests were carried out on the 17-year-old unit to test whether its capabilities matched the advertised specifications, which include a total head of 27m, maximum solids size of 100mm and a maximum pump speed of 1800rpm. Almost two decades after first being put into use, the S150 pump passed the test with flying colours. Andrew Moore, International Sales Manager for Selwood, said: “Selwood pumps are renowned for their quality, longevity and reliability and we were very happy for that reputation to be put to the test by Sanepar. “The team at Sanepar were clearly impressed by the outstanding performance of the unit and went on to purchase an S150 from our distributor Aquamec. He added: “This sale underlines our growing market in South America after joining forces with Aquamec to set up a logistics, maintenance and assembly centre in Brazil. Selwood continues to expand and diversify its sales market in South America. Earlier this year Andrew and a team from Aquamec covered six cities on a roadshow throughout the South East of Brazil – Brazilia, Belo Horizonte, Curitiba, Porto Alegre, Rio de Janeiro and Sao Paulo. The tour was, in part, facilitated by UK Trade and Industry (UKTI), which chose Selwood as one of 12 international companies to present advanced technology for the wastewater treatment market. During the tour, Andrew gave eight full-day presentations to private and state-owned water and sewage companies, and to potential customers in the mining sector. Selwood’s sales teams operate in 57 countries around the world through a trusted network of 43 international distributors, each carefully chosen to reflect Selwood’s values and to provide high quality sales advice and support.